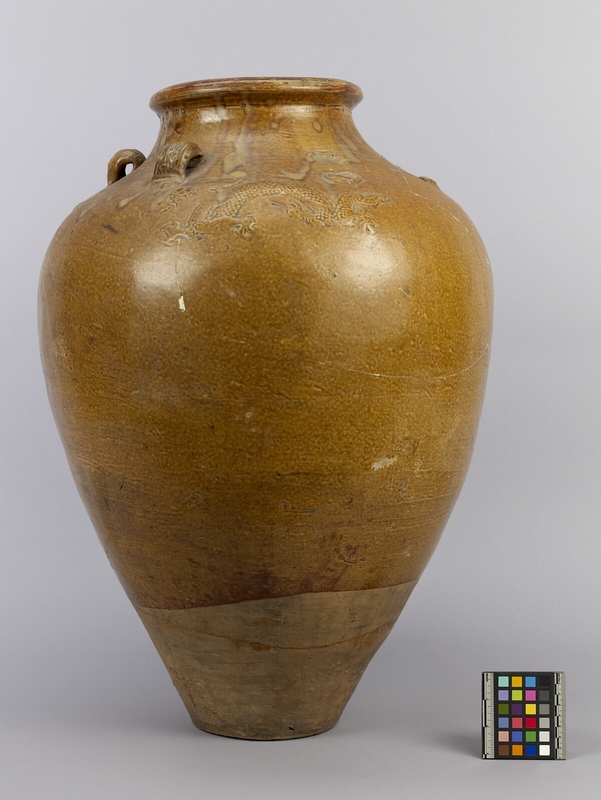 Item number Ia260 from the MOA: University of British Columbia. 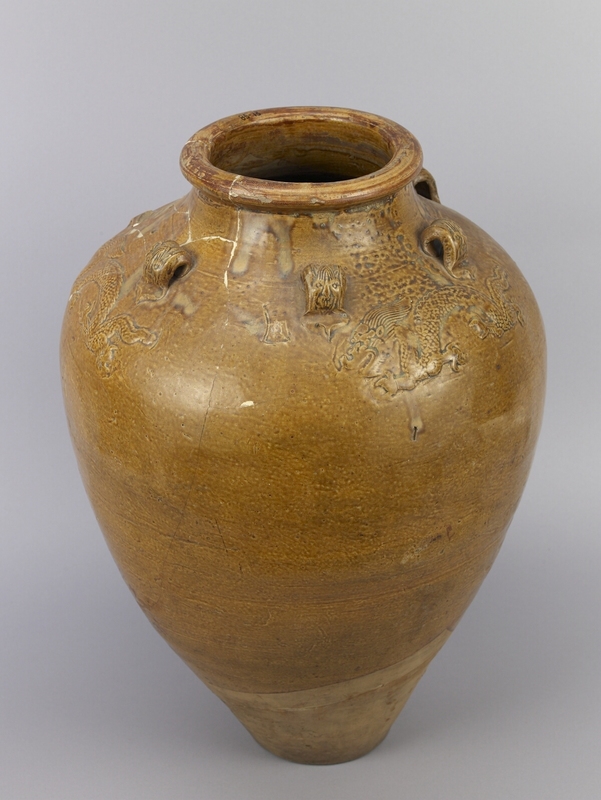 A tall globular jar with wide mouth, narrow flat base and six lugs on the shoulder. Just below the lugs are three horizontal three-toed dragons. The lugs are in the shape of dao die masks. 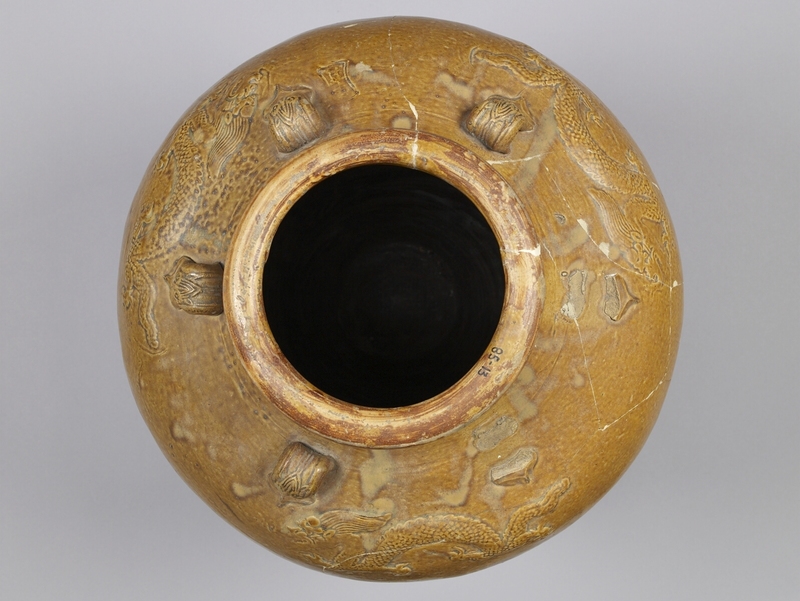 The lower quarter of the jar is unglazed.